This is Jim Rockford, leave your name and message at the tone, I'll get back to ya. 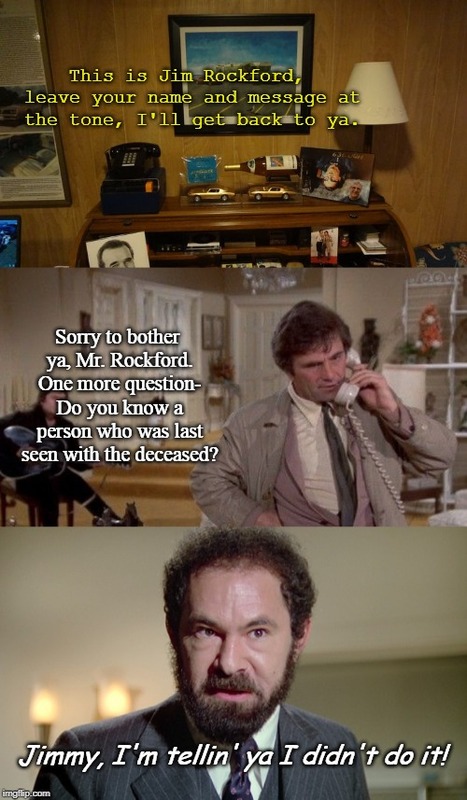 Sorry to bother ya, Mr. Rockford. One more question- Do you know a person who was last seen with the deceased? Jimmy, I'm tellin' ya I didn't do it!